With the Whistler Golf & Spa, you will stay in the heart of WHISTLER surrounded by the best of Whistler’s shopping, views, dining and night-life. 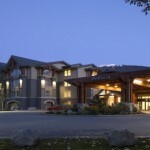 The Hilton Whistler Resort & Spa is a hotel property which can boast of being located in the heart of Whistler Village. With spacious and richly appointed guestrooms it has been named by Condé Nast as the 10th top resort hotel in Canada. The Aava Whistler Hotel is located just a snowball’s throw from the vibrant Whistler Village and the Whistler golf course. With contemporary guest rooms, modern facilities and personalized service, the Aava Whistler Hotel is the ideal getaway for any guest looking to relax and rejuvenate in style. Designed with Couples in Mind! 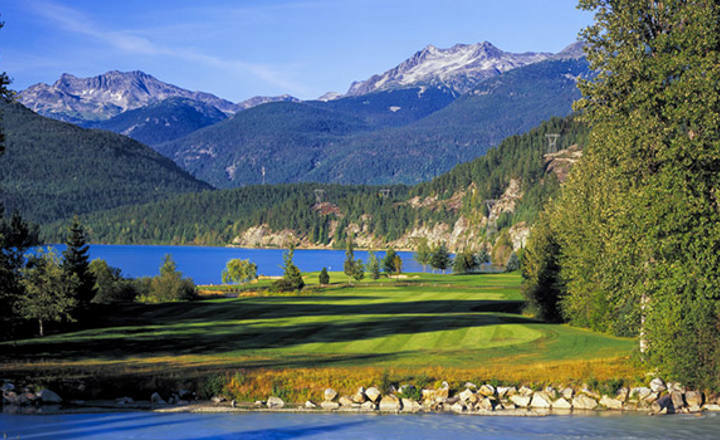 The Hilton Whistler and the Aava Whistler Hotel are both conveniently located to the best of Whistler’s golf courses – Fairmont Chateau Whistler, Nicklaus North, Big Sky Golf & Country Club and Whistler Golf. Choose any two of the four courses to create your own memories! The Scandinave Spa Whistler gives you an unparalleled opportunity to relax, rejuvenate and rediscover your essential vitality. To complement your golf experience, indulge in an afternoon couples treatment at the spa. Situated just north of Whistler Village, B.C., engulfed in a spruce and cedar forest on the edge of Lost Lake and Spruce Grove parks, this unique spa overlooks incredible mountain vistas and valleys. Invigorate and cleanse your body and mind in the hot baths and refreshing waterfalls, melt away with a relaxing massage, and breathe in the invigorating country air. This vacation is available between mid May to September 30 and can start on any day of the week. 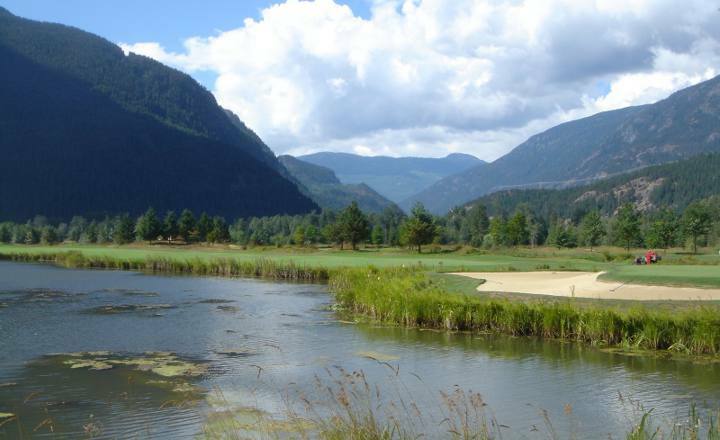 Opened in July 1994, Big Sky Golf and Country Club offers a premier golf experience for all skill levels. The course flows around seven lakes joined by a serpentine creek at 600 feet above sea level, roughly 1,600 feet lower than the nearby ski village of Whistler. Snowcapped peaks. A brilliant emerald-coloured lake. Majestic fir trees. Fresh, invigorating mountain air. This is the setting that inspired the great Jack Nicklaus to create a course as unique as himself. * Price is per person based on double occupancy. GST not included in price. Car rental available upon request. Package pricing reflect rates starting May 15th and is build based on 1 round at Big Sky Golf & Country Club and Nicklaus North. Package may be available earlier depending on seasonal availability. Changing golf courses or Spa Services may change the package price.